With our modern wrought iron panels you can turn your railings into pieces of metal art. Whether you are looking for the classic Mediterranean look of our wrought iron balusters, the modern sophistication of our stainless steel railings, or the timeless durability of our aluminum line, Indital has a wide range of products for you to choose from. Download a pdf of our current catalog today! 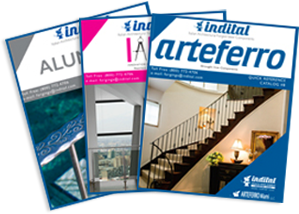 Indital is a world-wide leader in the production and distribution of wrought iron and stainless steel stair & railing products. 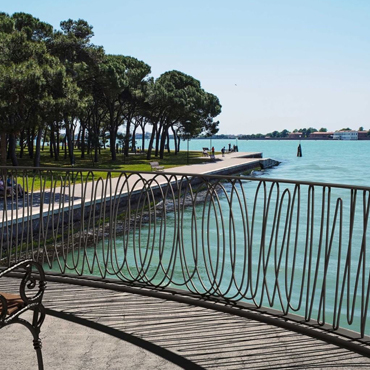 Our artisans design each railing creation with passion and dedication. Our iron & steel products are distributed in 136 countries through an ever expanding world-wide distribution network. Create your custom pattern of powder coated parts and hand carved wood. Learn how to install a cable, glass or bar INOX Stainless Steel Handrails.